traits | Tania A. Marshall, M.Sc. 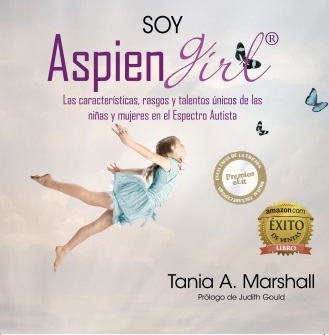 After “I Am AspienGirl” was released in June 2014, it went to #1 in 3 categories on Amazon. 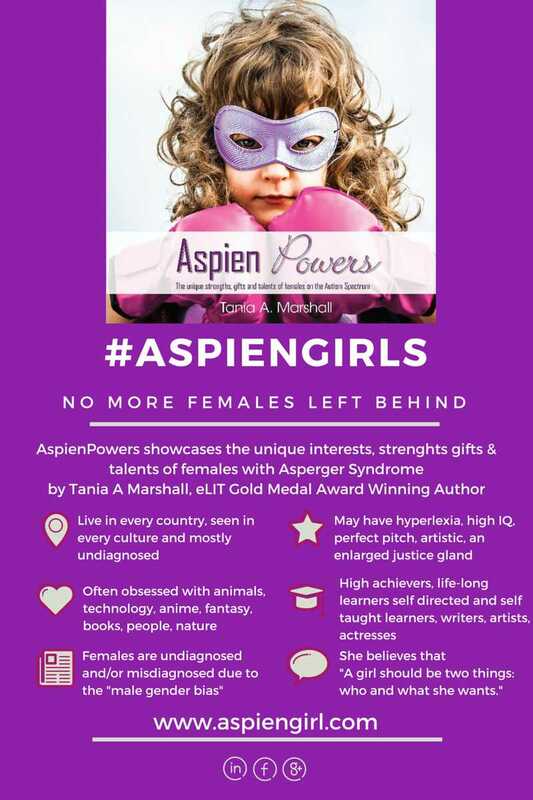 The AspienGirl team was inundated with emails, stories, messages and letters. Many of them were from females themselves or from their family members, their loved ones and professionals. We received pictures, poetry, art, short and long stories. We had people, of all ages, wanting to be a part of the Be Your Own Superhero Project. We received messages from a number of countries wanting to know more about female Autism, offering their translation skills to assist in getting the information made available in other languages and/or wanting to know where to go to start the process of an assessment. Messages came in from parents and professionals saying they were using the book to explain the diagnosis or as a reference/starting point for explaining or discussing certain characteristics. 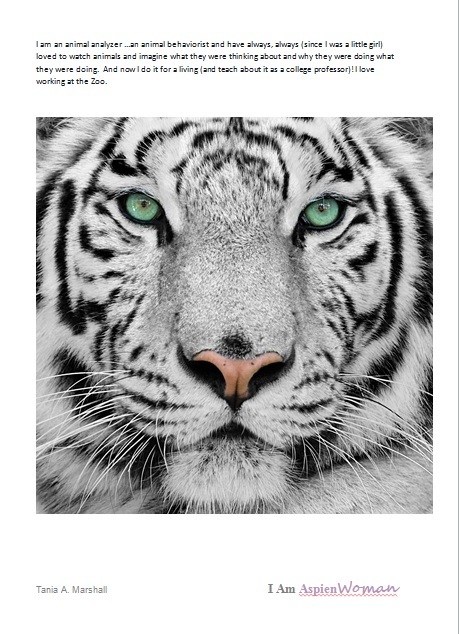 Many of the messages or testimonials coming in positively referred to the format of the book, in particular the use of images and verbatim quotes which combined together showcased particular traits, characteristics or talents. What we learned was that there is a desperate need all over the world for more trained professionals, more adult female research based on females and comparing females with Autism to their neurotypical peers, more information regarding the internal experiences of a large group of females on the Spectrum, more information about the female sub-types, and a huge need for assessment tools, resources, intervention and support designed specifically for females. Current assessment tools appear not to be suitable or designed to identify particular features of Autism spectrum disorder/condition in females. This book is written for four types of readers. 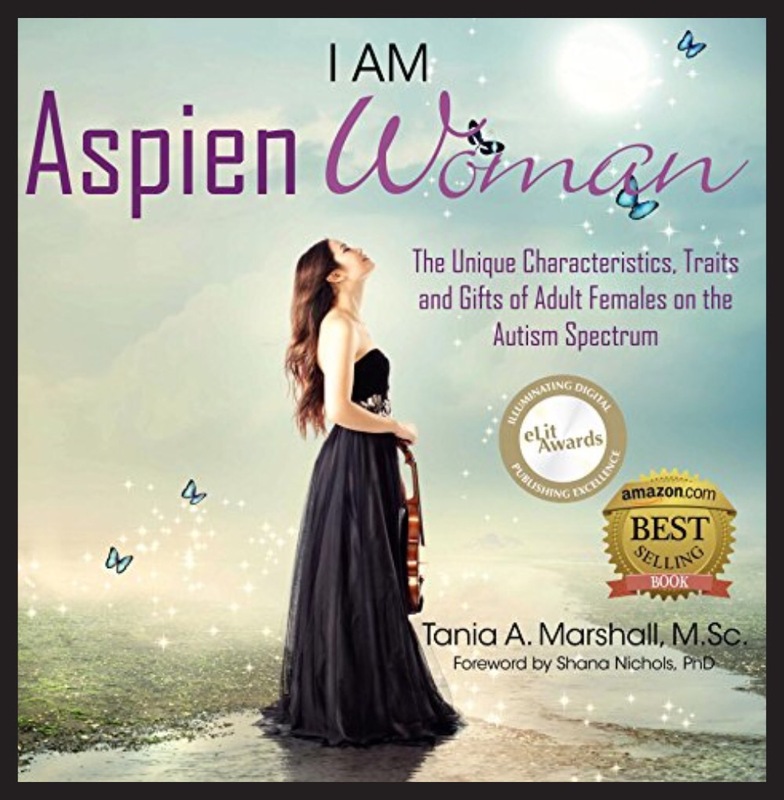 First, this book was written for the general population (neurotypical people), to explain the internal experiences and the unique characteristics of adult females with an Autism Spectrum Condition (ASC). Second, this book is written for the female who may just be starting her journey to understand that she may too, be on the Spectrum herself. Many adults are unaware that they are on the Autism Spectrum. Third, this book is for individuals who are self-diagnosing or with a formal diagnosis who may feel this book may help explain their uniqueness and characteristics to themselves and/or to their loved ones through sharing it with family members, partners, friends and/or colleagues. 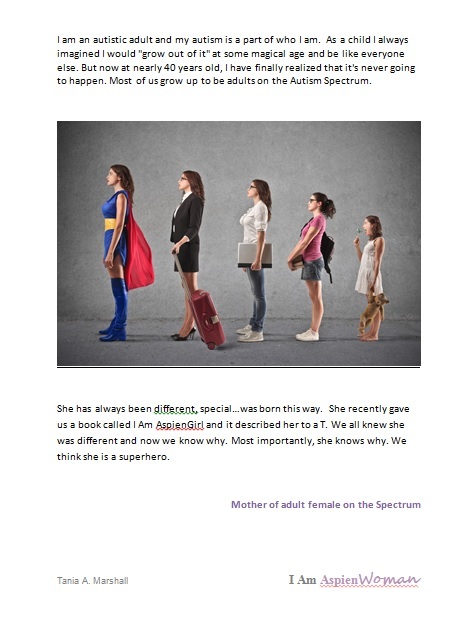 Lastly, the book is written for professionals, to assist them in understanding the newly emerging Autistic female profile and in their work with their clients. 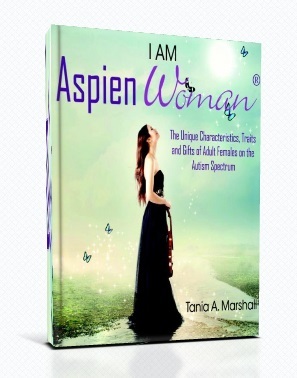 I Am AspienWoman: The Unique Characteristics, Traits and Gifts of Adults Females on the Autism Spectrum is written by Tania Marshall, MSc., and the second in the AspienGirl book series. This book continues where I Am AspienGirl left off, detailing the newly emerging female phenotype as it often presents in adult females. This highly visual book presents stunning images combined with verbatim quotes by females on the Spectrum, that combined characterize and illuminate the unique strengths and challenges of the this “lost generation” of females. 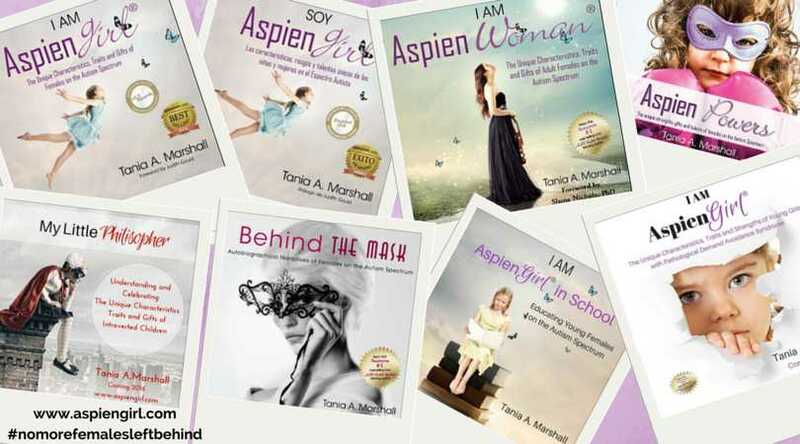 The images and quotes highlight a range of areas including: early memories, cognitive/personality type, sub-types, social, education, sensory sensitivities, emotional, communication/language, work, common interests, gender, family, and relationships, strengths, challenges, stages leading up to and after diagnosis, important AspienWoman needs and an inspiring section of 25 real life AspienWoman Superhero Mentors headed up by Dr. Temple Grandin. Also included is a strengths based exercise and some important references/resources. This is the second interviw in my “professional” series, where I was recently honoured to interview best-selling author Kathy Hoopman. What is your background? You are originally from Toowoomba, right? How did you get from there to Dubai? I was born in Toowoomba, where I lived for twenty years and studied primary teaching at the Darling Downs Institute of Advance Education (now University of Southern Queensland). I married right out of uni and went to work in Brisbane as a teacher in Prince of Peace Lutheran Primary School which was so new, it was still a cabbage patch when I got the jobJ. I taught full time until I had children then I moved into relief teaching whilst I started my writing career. We moved to Dubai in 2003 with my husband’s work, and stayed until mid 2011. Then we took a gap year and spent a year back in Australia doing renovations and catching up on family and friends. We returned to Dubai in Sept 2012 and plan another three year stay. When I was a school teacher, I read many books to my classes and love the worlds that were created. Finally I decided to create my own worlds. At first I wrote novels; some were published and some weren’t. But strangely enough my first book published was a book of plays based on Bible stories. It was a ‘right time, right place’ book. 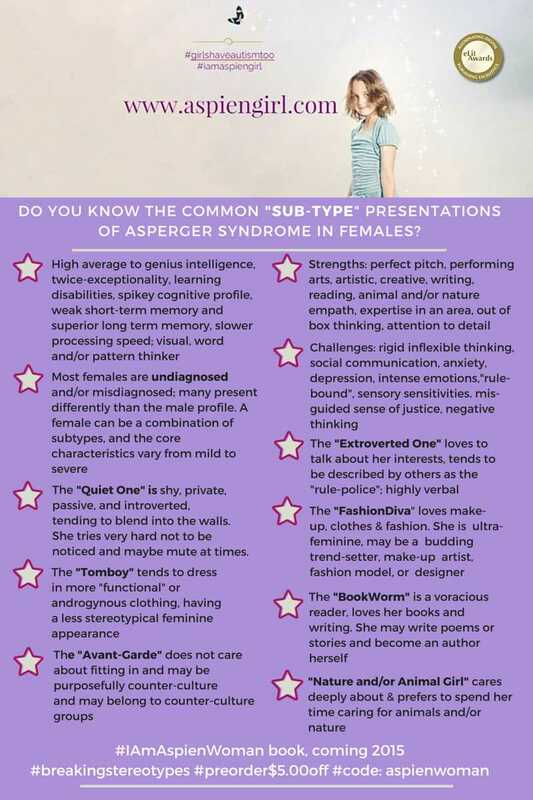 But then I became interested in Asperger’s and wanted to capture the positives of the syndrome in an Aspie character. I will never forget the day I was at an Autism conference where Tony Attwood was speaking. At lunch time I waited until the long line of people, wanting to catch his attention, dwindled, and I nervously told him about the novel I had just completed. He was gracious enough to look at it and gave his endorsement and Blue Bottle Mystery was picked up by Jessica Kingsley who has published all my Asperger books since then. You have written a total of 7 books, is that right? I have fifteen books published in Australia, the UK, US and the UAE, with translations into ten languages. Six deal with Asperger’s and one is on ADHD. All Cats have Asperger Syndrome and All Dogs have ADHD have been very successful. What do you think the main reason for this is? Many books on special needs are quite long to read and can be full of medical jargon. Although these books are essential, many people simply want a quick overview. I think what makes All Cats have Asperger Syndrome and All Dogs have ADHD so successful is that in ten minutes a reader can understand the essence of these syndromes, both the negatives and the positives, and come away with a smile on their faces and hope in their hearts. I have just read your latest book Inside Aspergers Looking Out and it is just as fabulous. This book is different in that it is for Neurotypicals, in terms of them learning about what it’s like to be Aspie. What made you to decide to write this book? In Sept 2011, in my ‘gap’ year, I heard John Elder Robison (Look Me in the Eye) speak at the Brisbane Writer’s Conference. I was moved by the entirely different way he saw Asperger’s and how he could explain it so that it was no longer facts, but life. I was privileged to have lunch with him and I mooted the concept of writing a book along these lines – that is from the eyes of an Aspie. Not having Asperger’s, this book took a lot of research and I listened to hours and hours of Youtube videos by Aspies, and joined online Asperger sites to get their insights. By Feb 2012, it was finished and in the hands of my publisher. What is it like in Dubai, in terms of Autism and services? I have to admit that I am out of the link here and have little contact with Asperger/Autism providers. However, I understand that slowly schools and clinics are striving to incorporate special needs programmes and are beginning to employ specialists in these areas. Unfortunately, many children do not receive the assistance required and many schools still refuse to take any children with special needs of any kind. Are we going to get a chance to read anymore Kathy Hoopman books? I have dabbled with writing a teacher’s handbook on how to deal with Asperger’s in the classroom, but it is on the back burner at present. Currently I am branching into a new area of writing and I am working on a children’s Christian book which is trying to capture the essence of the Bible in eighty picture book pages. It is a fascinating and hugely challenging project. Many of the larger book lines either stock my books or can order them in. My distributor in Australia is Footprints Books http://www.footprint.com.au/ and all of my Asperger titles can be ordered through them. Online stores like Amazon, Book Depository and Fishpond all have my works too. Thank-you so much for this interview Kathy. So, what’s in a word? The language and the words we use have power. Power to think about something in a certain way. 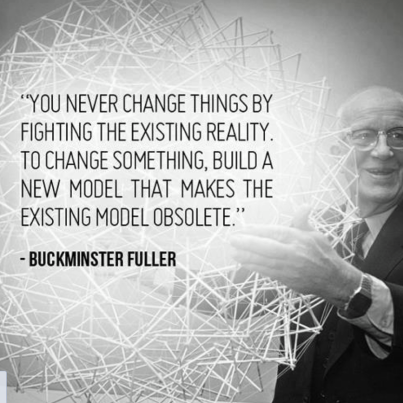 It is time for a global revolution in the way we think about Asperger Syndrome. I believe it is time to move from a “deficit-based” model to a strengths-based one, which in addition to weaknesses, includes and assesses and describes people based on their strengths, skills, abilities, gifts and/or talents. Individuals with Autism have what we refer to as “spikey profiles” and a different developmental profile, meaning that often they may be behind in one developmental area, but ahead in another. In my clinical work, I have met people of all ages with weaknesses, yes, but also a stunning array of diverse abilities, talents and gifts, which has been overlooked. The deficit-approach has ignored strengths and contributed to the rampant identity and self-esteem issues that are seen in individuals with Asperger Syndrome. I’ve also met many people, including professionals who believe or have been led to believe, that individuals with Asperger Syndrome cannot contribute to society and/or work. This could not be further from the truth. I believe deficit-based diagnostic criteria and deficit-based approaches are partly responsible for this. It’s time for a strengths-based language, approach and positive strengths-based outlook for individuals with Asperger Syndrome, of all ages, sub-types and levels. The following is a work-in-progress, based on the descriptions relayed to me in clinical practice. I offer an alternative description after the bolded word “OR” . This list will be updated as time permits. 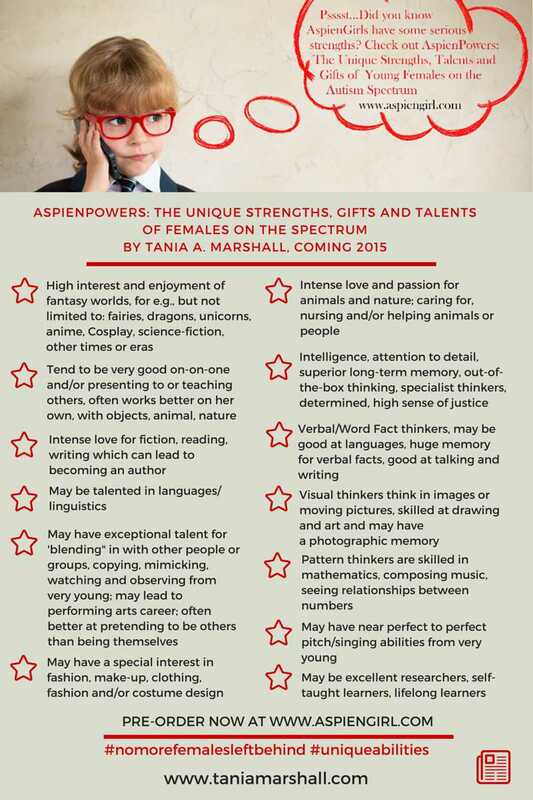 I believe that individuals with Asperger Syndrome have many Superpowers. 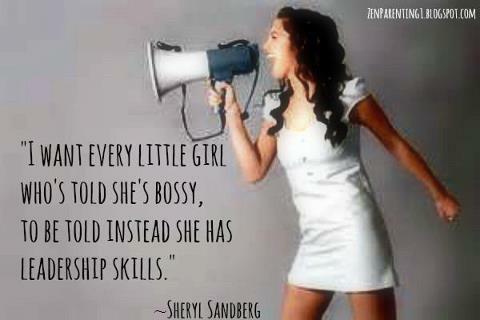 The difference between bossiness and leadership skills is in early intervention (EI). EI makes a world of difference in supporting children/teens into being successful adults. Caveat: I am not saying that individuals challenges are ignored. I am saying that their strengths and talents need to be included in their profile. Tania Marshall©. All rights reserved. Duplication in whole or part is explicitly forbidden. Thank you. In Australia, approximately 1 in 100 children are born with an Autism Spectrum Condition (ASC). ASC is a recently defined lifelong developmental condition and affects people regardless, of age, colour, race or socio-economic status. It is now referred to as a spectrum condition, meaning that the condition affects the person in different ways, even though there are common areas of challenges across all people with Autism. 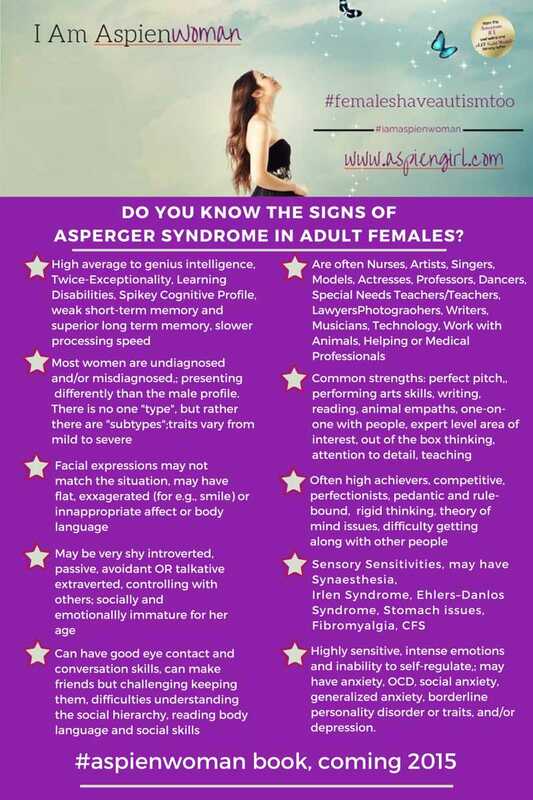 Aspergers Syndrome (AS) or High Functioning Autism (HFA) is a form of Autism, characterised by challenges in social communication and interaction and restricted, repetitive patterns of behaviour, interests, or activities, including sensory issues (DSM5, 2013). Hans Aspergers, an Austrian paediatrician, originally described Aspergers Syndrome in 1944. He originally believed that girls were not affected. However, further clinical evidence led him to revise his statement. In terms of statistics, Kanner (1943) studied a small group of children with autism and found that there were four times as many boys as girls. Ehlers and Gillburg (1993) found the similar ratio of four boys to every girl, in their study of children in mainstream schools in Sweden. Aspergers Syndrome appears to be more common among boys than girls, when the research is reviewed. However, recent awareness of genetic differences between males and females, and the diagnostic criteria largely based on the characteristics of males, are currently thought to be responsible for females being less likely to be identified. 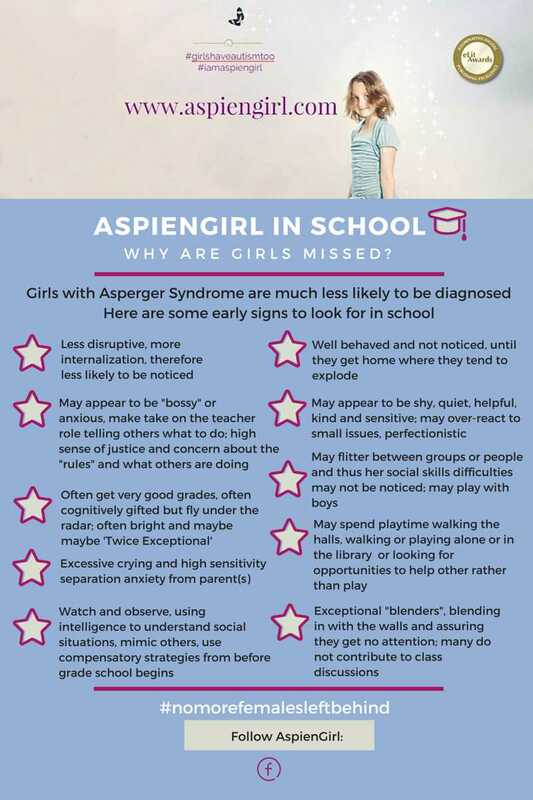 Attwood (2000), Ehlers and Gillberg (1993) and Wing (1981) all acknowledge that many girls and women with Aspergers Syndrome are never referred for assessment and diagnosis for AS, or are misdiagnosed, and are therefore missed from statistics and research. Many girls and women do not meet diagnostic criteria, as the criteria are based on the behavioural phenotype of boys. 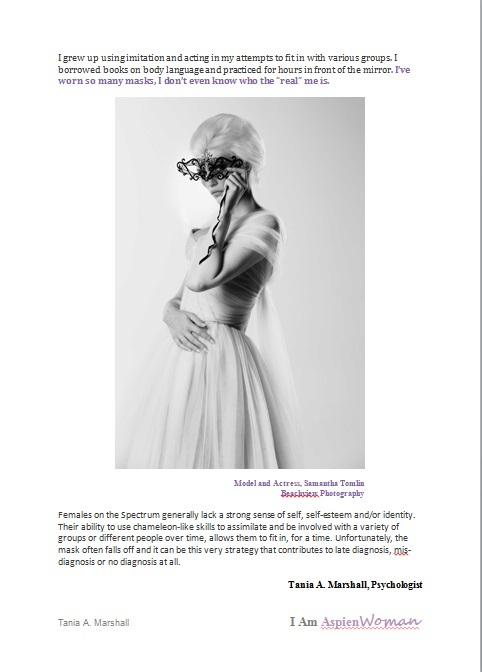 There exists a critical need for diagnostic criteria to reflect the female phenotype. Questions have been raised about the ratio of males to females diagnosed as having an autism spectrum condition (ASC), with a variety of studies and anecdotal evidence citing a range from 2:1 to 16:1. Here in Australia, I have seen a rapid increase in the number of girls and adult women referred for a diagnosis and/or support. 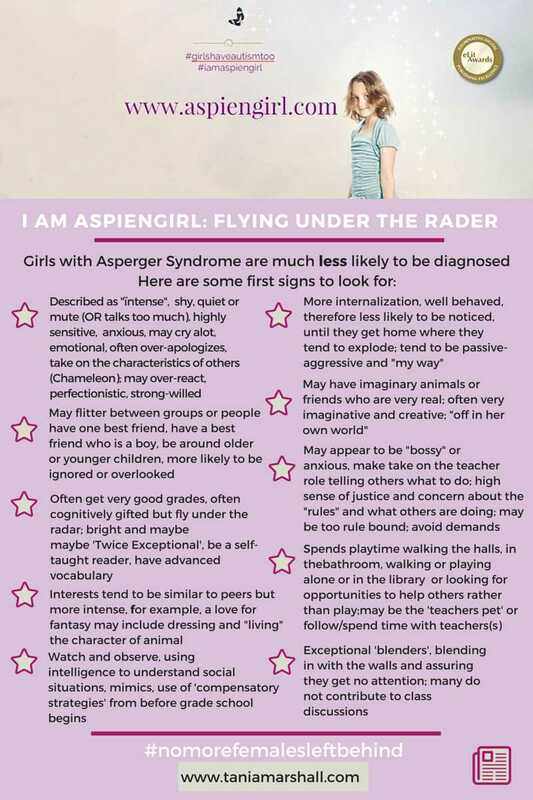 • Girls use social imitation and mimicking by observing other children and copying them, leading to masking the symptoms of Asperger syndrome (Attwood, 2007). Girls learn to be actresses in social situations. 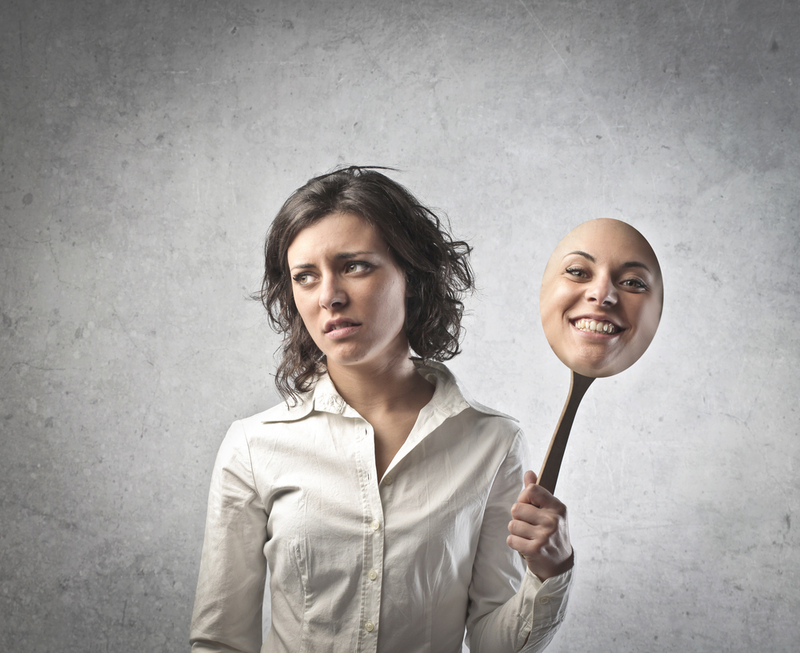 This camouflaging of social confusion can delay a diagnosis by up to 30 years. • Dale Yaull-Smith (2008) discusses the ‘social exhaustion’ that many females experience, from the enormous energy it takes pretending to fit in. • Girls, in general, appear to have a more even and subtler profile of social skills. They often adopt a social role based on intellect instead of social intuition. • Girls often feel a need and are aware of the cultural expectations of interacting socially. They tend to be often more involved in social play, and can be observed being led by their peers rather than initiating social contact. They often only have one or two close friends and/or may find boys easier to get along with. • Cultural expectations for girls involve participating in social communication, often made up of social chit-chat or surface-type conversation. Girls with Asperger Syndrome find this type of communication exhausting, tending to desire having conversations that have a function to them. Girls on the spectrum are also are socially confused by teasing, bullying, and bitchiness, and the teasing that often occurs at school. • Girls often misunderstand social hierarchies and how to communicate with others based on the level of the hierarchy that the person is on. This can tend to get girls in trouble with adults. • Whilst the interests of girls on the spectrum are very often similar to those of other girls, it is the ‘intensity’ and ‘quality’ of the interest which can be unusual. For example, many are very focused on their animals, celebrities or soap operas. 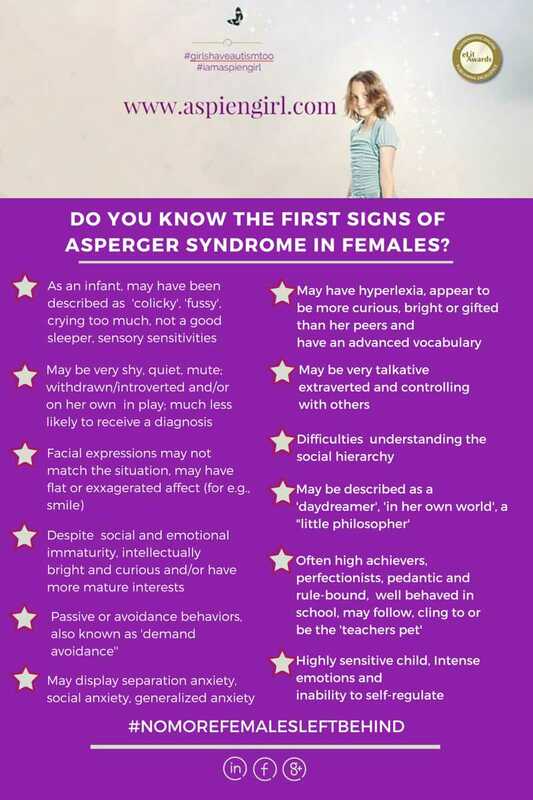 • Girls and women on the spectrum are generally skilled in one on one social relationships, but are uncomfortable and anxious in large groups of people. • Girls may have great difficulty in attempting to explain their difficulties in social situations and/or groups. Instead, they may skip school, complain of headaches or stomach aches or refuse to go to school. • Girls facial expressions tend to not match their moods. They may say that are fine, but on the inside they are unhappy, anxious or both. • Girls tend to be more passive-aggressive (avoid social activities, refuse requests from others or refuse to complete tasks,), tend to blame themselves and/or internalise their feelings and anger and have less ADHD. Girls on the autism spectrum are more likely to come to the attention of health professionals due to difficulties with anxiety, depression, eating disorders, behavioural problems and/or social skills challenges. The presenting problem then becomes the ‘diagnosis’, with the larger picture and explanation for feeling “different” is missed. Women with Autism are most likely to have had a long history of misdiagnoses, often with borderline personality disorder, schizophrenia, anxiety disorder, depression, selective mutism, OCD, but somehow those labels just didn’t seem to fit adequately. Up to 42% have been misdiagnosed (Gould, 2011). Many women with an autism spectrum condition are not being diagnosed and are therefore not receiving the help and support needed throughout their lives. Having a diagnosis is the starting point in providing appropriate support for girls and women in the spectrum. A timely diagnosis can avoid many of the difficulties women and girls with an autism spectrum disorder experience throughout their lives. Who should I take my child or myself to see? 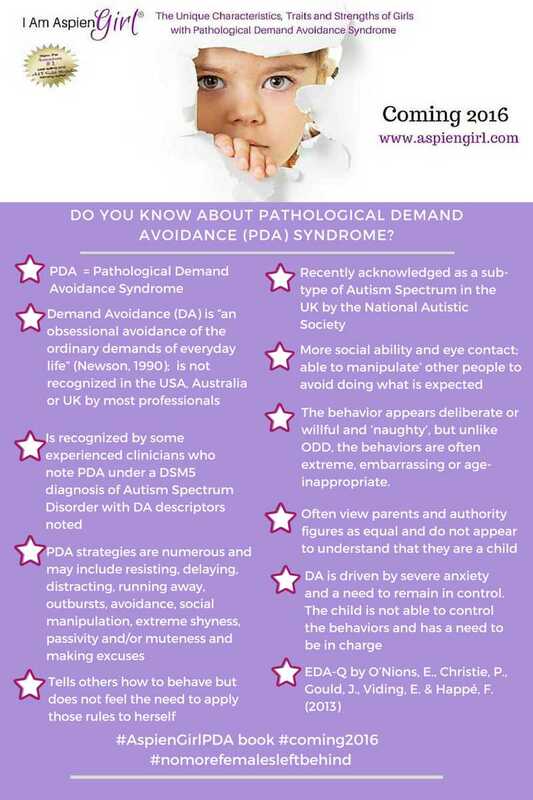 Ask your doctor, psychologist or paediatrician how many girls with Autism they have seen. They must have seen as least 50 girls with AS, due to the ‘social echolalia’ or the camouflaging of social confusion that females on the Spectrum engage in. 1. Girls and women cannot socialise. Actually, many girls and can socialise quite well, just not for as long. 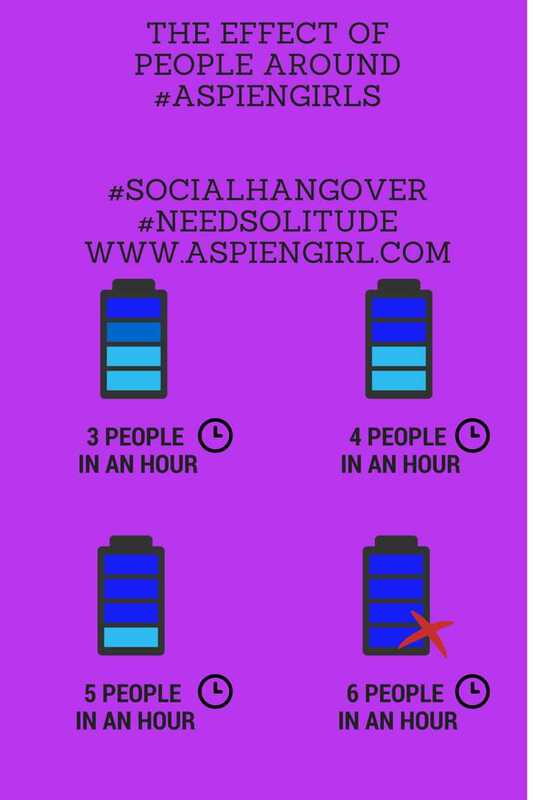 They tend to suffer from social exhaustion or a ‘social hangover’ from longer periods of socialising. All persons on the spectrum need solitude to recharge their batteries. Advice: Let your family or friends know that you need a solitude break, to allow you to recharge your batteries. Let them know that this is how your regain your energy. Advice: Learn to accept and trust your intuition. Learning a variety of interventions to help manage or cope with high empathy is important. 3. Girls and women with autism cannot lie. Girls and women with autism can lie, but they usually do it badly. They tend to lie to the detriment of all concerned or lie as a quick fix because they do not know what to do, so they will deny, even when it’s plainly obvious that they are. In addition, females tend to tell the truth when it is not socially acceptable to do so or be truthful with their emotions, when it may not be the best time or place to show those emotions. Advice: Social stories for “white lies” and the appropriateness of “emotional truth” are useful intervention tools. 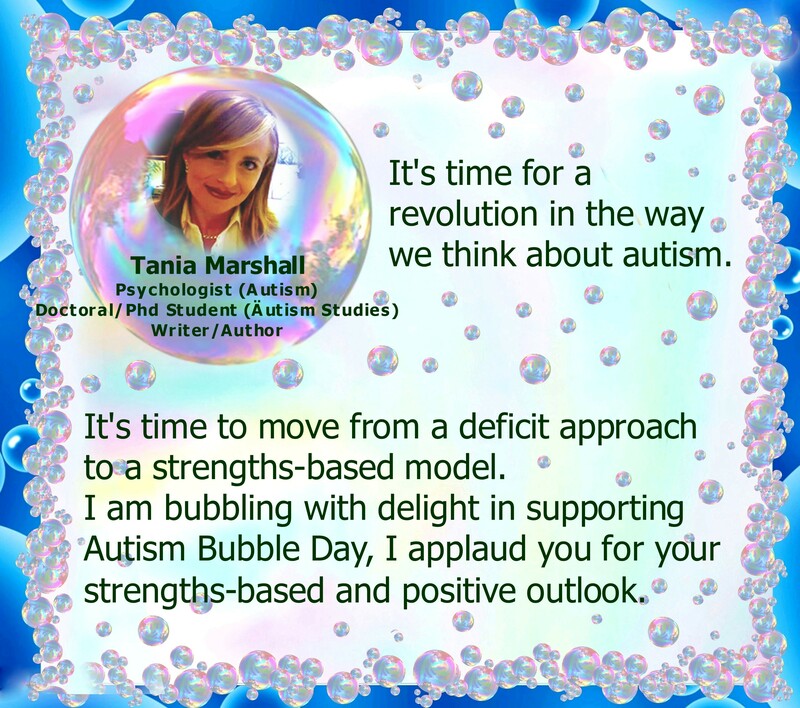 Tania holds a Masters of Science in Applied Psychology and a Bachelor of Arts in Psychology. She regularly provides diagnostic assessments, support and intervention. Tania is currently working on her fourth book. 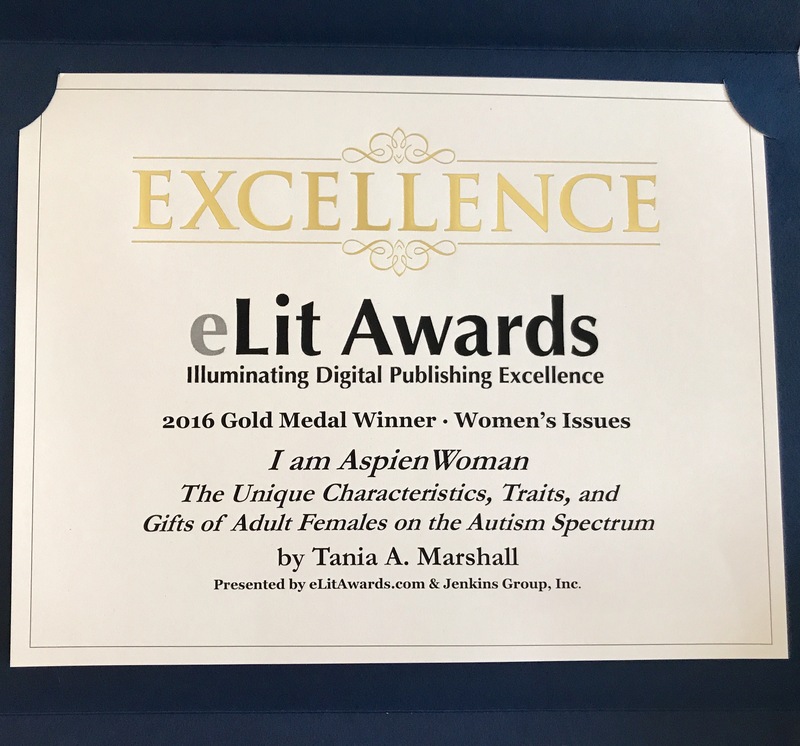 She is co-authoring a book for professionals tentatively entitled “Assessment of Autism Spectrum and Asperger’s in Females: Comprehensive diagnostics and treatment planning for girls and women with autism spectrum conditions across the lifespan”. Tania Marshall©, 2013-2014. All rights reserved. Aspiengirl and Planet Aspien are trademarked. Thank you.